Before you book a transfer or travel with Simply Shuttles, take a look at our need to read section for important information about our services. Our office hours are 08.00 to 21.00, 7 day a week. 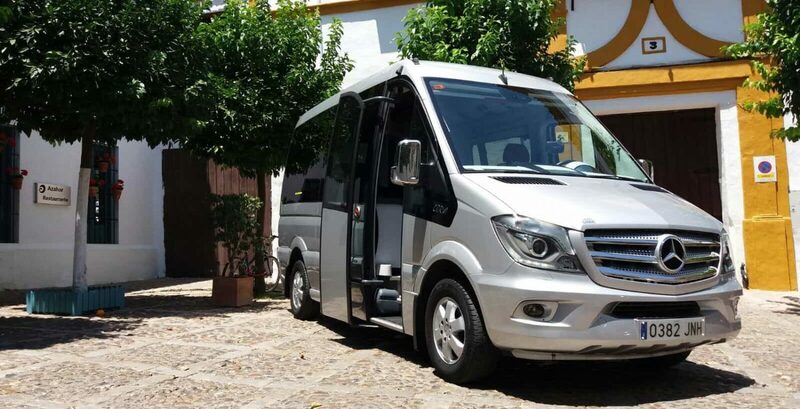 During this time we can be contacted on +34 951 279 117 or info@simply-shuttles.com for all variety of enquiries. Email is our preferred method of communication for booking requests to avoid any miscommunications but we are happy to hear from you either way for general enquiries. Outside of office hours we are always available by phone but only for urgent use which relates to an imminent confirmed booking. This does not apply for new enquiries or price requests, these can be made via email. I’m afraid to say that we do not regularly monitor messages via SMS, WhatsApp, Facebook or similar. Our apologies if this causes any inconvenience. If you do not have a booking confirmation email or a booking reference number please be aware that your booking may not be confirmed and you should contact us at once. All our bookings have a reference number beginning with ‘B’ followed by five digits. We ask all customers that they check their booking itinerary carefully to ensure that all details are correct and inform us immediately if there are any errors or doubts. If you have not yet made a booking then perhaps our How to Book page will be helpful. We’ve made it easy to pay for your Simply Shuttles service: You can pay online using your debit or credit card. You’ll find a link on the booking confirmation we email you. Payment by this method is not only quick and easy but the instant it is applied to your booking you will be given the option to download your paid invoice straightaway. In addition we will be notified of the payment so there is no need for you to confirm proof of payment in any way. Alternatively you can pay your driver in cash on the day, either on a trip by trip basis or the full payment of your booking. Cash payments to the driver must be made in Euros and as this is our secondary payment method the drivers do not carry change so the correct money is required. Destination services after midnight will be charged in full in advance. We also reserve the right to charge for any booking in advance. Please note that we do not give credit. It is a legal requirement in Spain for all children under 135 cms in height to have the right seating. Please be aware that we CANNOT travel with babies and children without the correct seating. Therefore it is vital that we are informed no less that 24 hours before your collection time of the ages of any infants travelling with you. We supply all baby, child, and booster seats free of charge. If for any reason your plans change, just get in touch with the office as soon as possible. So if your arrival times and dates change, or your flight number is different, or you want to add more passengers to your party, or you need an extra baby seat, give us a call or drop us an email quoting your booking reference number. We guarantee to accommodate changes to an existing booking with more than 24 hours notice however as much notice as possible is always appreciated. For same day requests we will always do whatever we can but on occasions it may not be possible to fulfil your request at late notice. We do not charge for booking changes but there may be an additional charge if the passenger numbers increase or if the route changes. We DO NOT permit the drivers to confirm changes to the bookings. However he will call the office on your behalf to liaise with our team before, hopefully, confirming your request. Our booking confirmation shows the collection time from the airport stated as the flight ETA. This is correct. We will be tracking your flight and schedule the driver to be waiting for you upon your arrival at the meeting point, where he will be holding a sign that displays your name. For this reason it is vital that we have the correct flight details. Please note that for groups arriving on more than one flight, we must be made aware of all the flight details prior to your arrival. If your airport transfer is from Malaga Airport, your driver will be waiting for you just outside of the double doors as you exit the building from the arrivals hall. Please review the details of our Malaga Airport meeting point map. If your transfer is from Gibraltar Airport, your driver will be waiting for you with the vehicle immediately outside the passport control building in Spain. This meeting point is approximately 200 metres from the airport terminal. Upon special request we can arrange that the driver meets you at the terminal it self, however this would incur a delay returning to the vehicle as we are not permitted to park within the vicinity of the airport. This service must be requested in advance and may incur an additional charge. We are always happy to receive your feedback however good or bad. Please advise us of the things we are doing well and be constructive with any criticism in order that we can focus our attentions on the things that matter. As social media and reviews are a part of everyday life please feel free to tell us about your experiences with us on our pages at TrustPilot, Facebook or TripAdvisor. If you have not found what you are looking for on this page please also try our FAQs or Terms and Conditions pages. Alternatively you can contact us at info@simply-shuttles.com.